Order within the next... 0 hours, 0 minutes, 21 seconds ...for dispatch today! Hand made from stone resin in the UK. 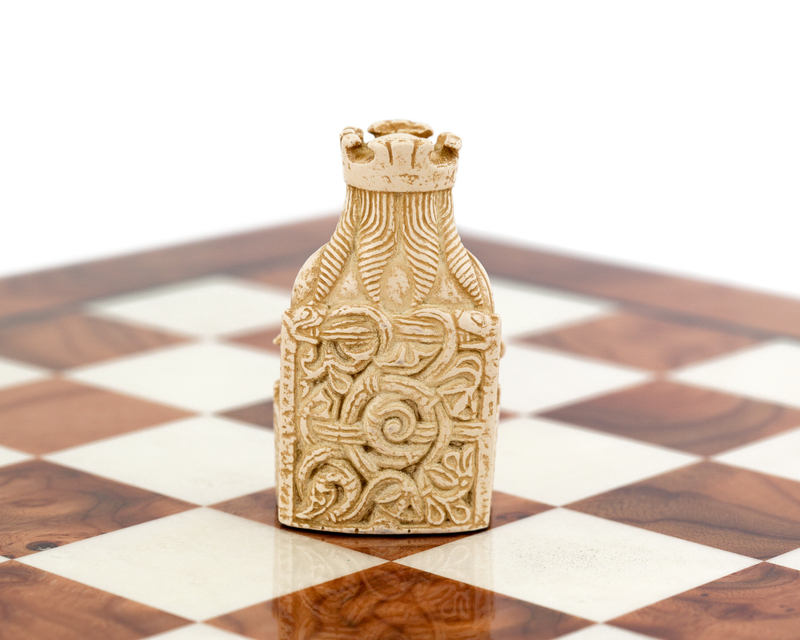 Made using 3D laser scans of the original. 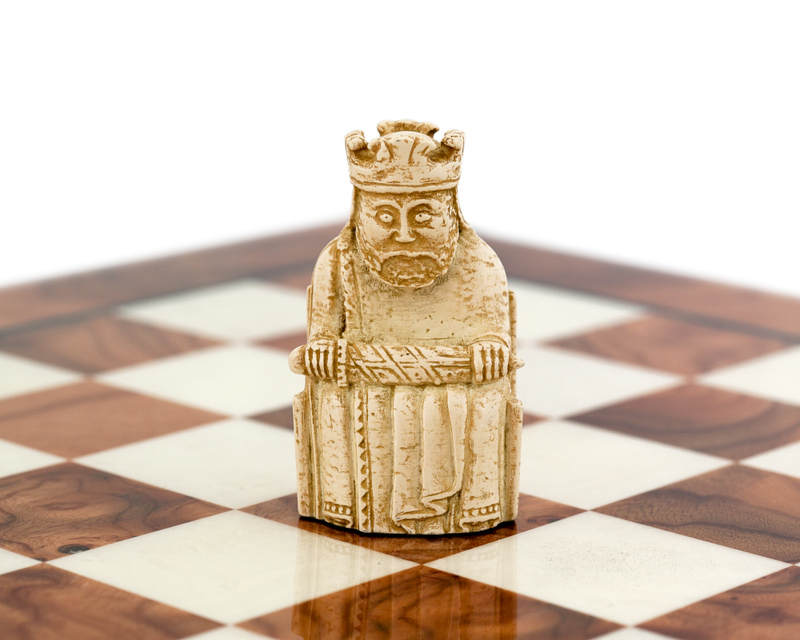 Full-size replica of the Lewis Chessmen King from the National Museums Scotland collection in new mock ivory finish, Made by hand in the United Kingdom. 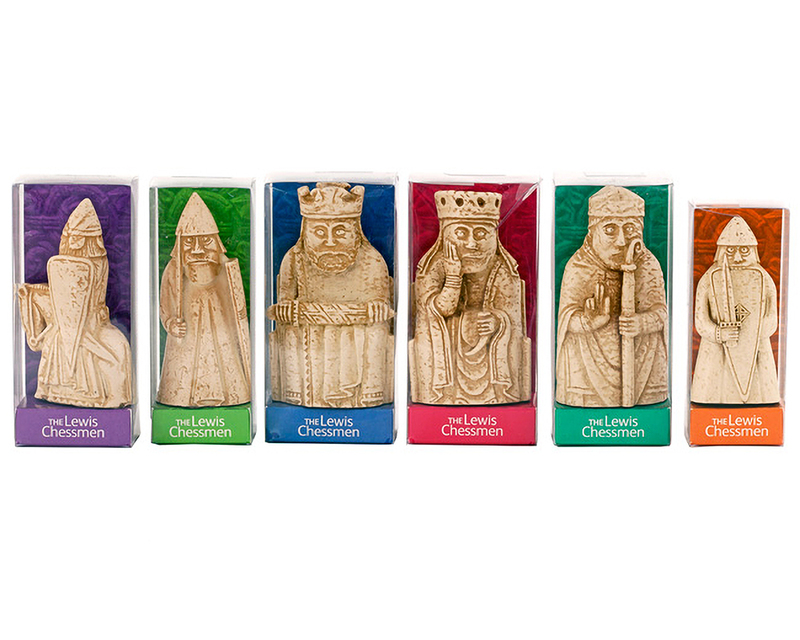 3D laser scans were taken of the original figurines to create these poly-resin reproductions, supplied exclusively by National Museums Scotland. The despondent looking King is ensconce on his throne, holding a scabbard across his legs, right hand on the grip, left hand clutching blade. The King wears an unfenced crown with four trefoils and has long, braided hair falling down onto his back. He is dressed in a long cloak and underneath he wears a tunic. 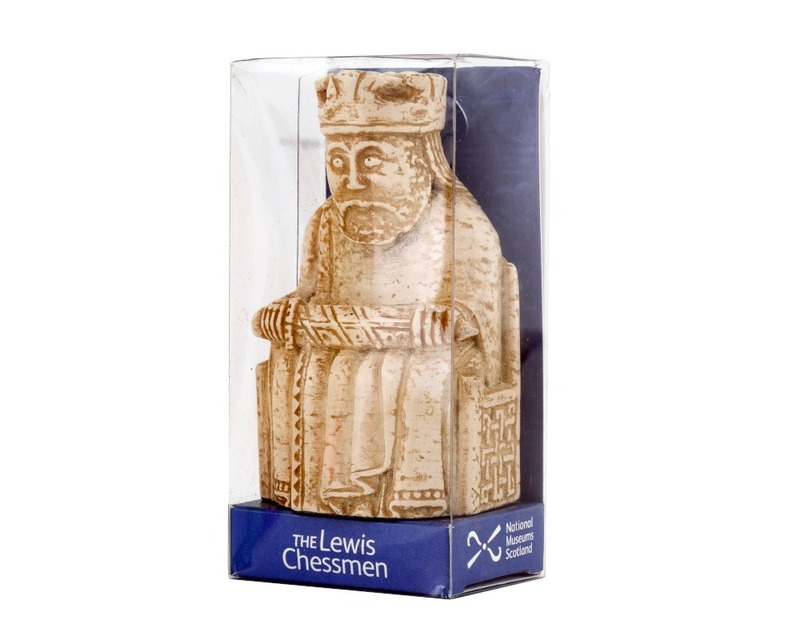 The Lewis chessmen are one of the most popular objects on display in the National Museum of Scotland. The Viking cache of ninety-three figures, carved from walrus tusk and probably made in Scandinavia in the 12th century, were found some 700 years later in a the sand on Uig bay in 1831. The artistry varies from piece to piece but it's the facial expressions that divulge their true characteristics and quality. The collection included four distinct sets. Eleven figures are currently owned by National Museums Scotland and the remaining eighty-two are in the British Museum in London. "Looked good , didn't actually see it as it was a gift." "Excellent product - very happy with it. Great price!"